OVO8P is an active speaker with excellent musical quality, crystal clear voice reproduction and high sound level with 60W output power. This full range bass reflex speaker is so powerful you don’t need a sub anymore to realize that perfect sound. 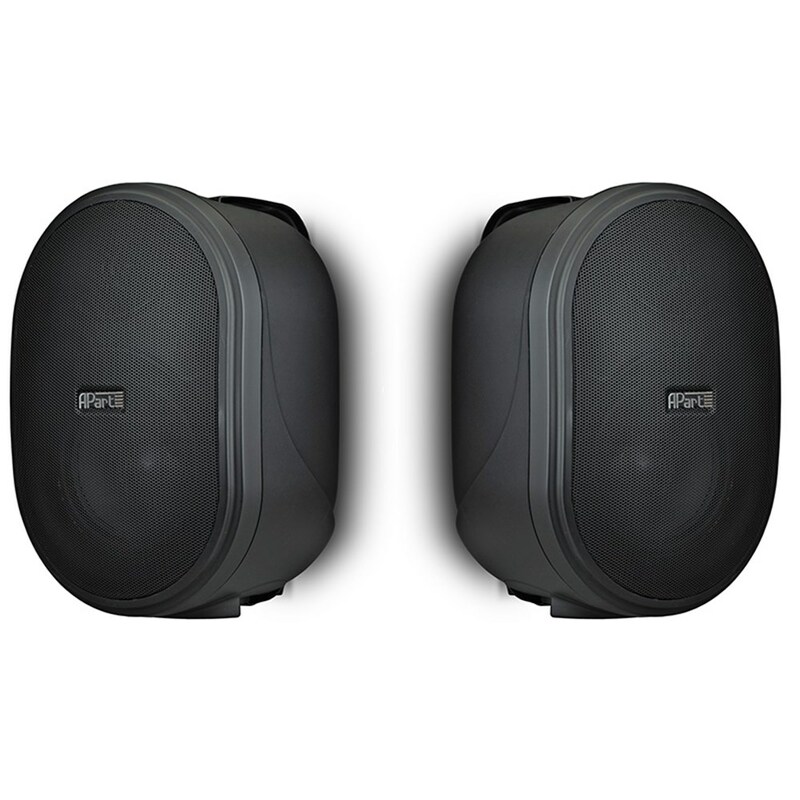 The OVO8P 2-way bass reflex speaker has an 8 inch woofer and a 1 inch soft dome tweeter. You have volume control options and separate bass and treble control. 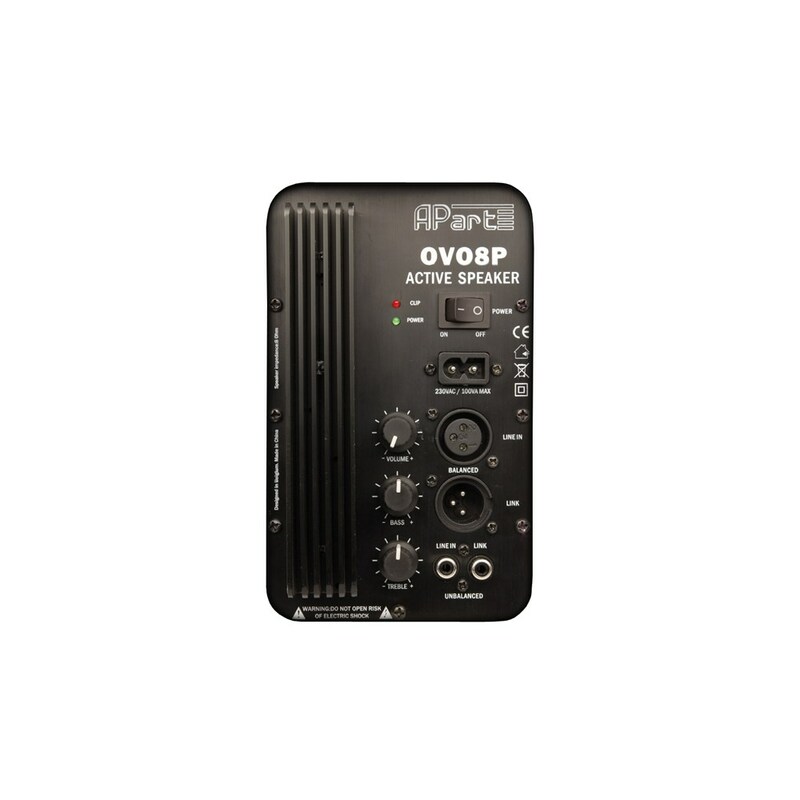 Balanced and unbalanced input connectors on the OVO8P are ideal for AV monitor and educational applications requiring very high sound levels. 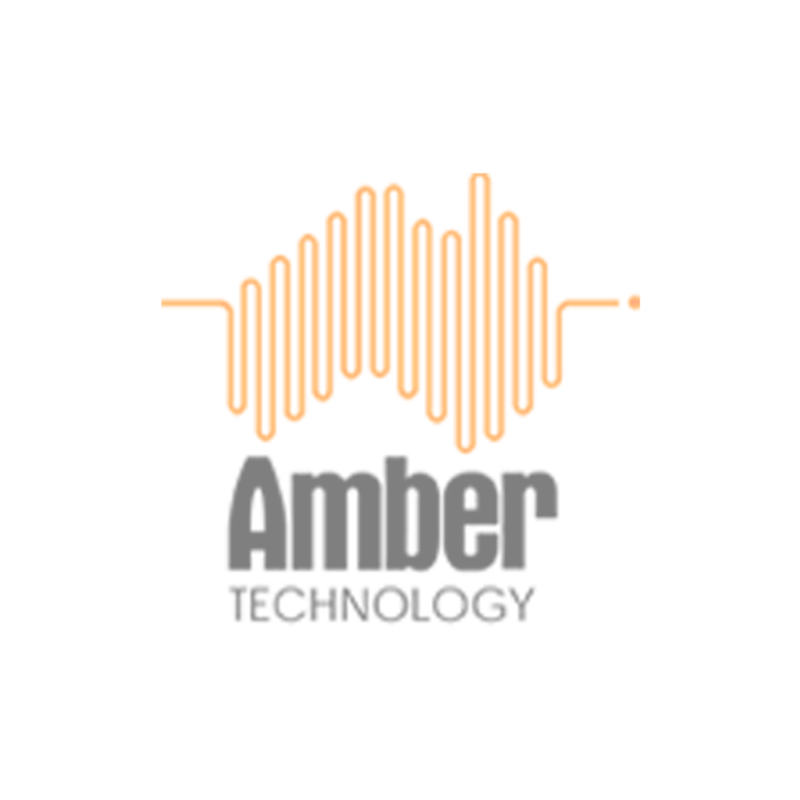 There is a RCA/Cinch input for unbalanced line level signals and male and female linked XLR connectors for balanced line level signals. 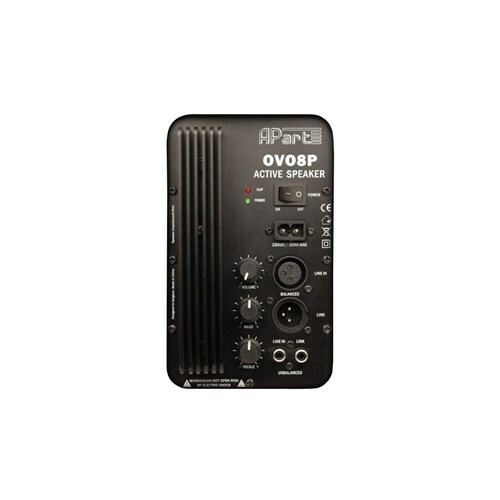 The Apart OVO8P has been designed for a wide range of indoor installation applications such as class rooms, big boardrooms, hotel rooms or many other indoor applications where a stylish but budget friendly loudspeaker is needed. In large areas you can link multiple OVO8P’s if you wire them in parallel. The OVO8P has plenty of wall mounting possibilities due to the painted metal speaker brackets that have various installing angles. Thanks to the floor standing bracket, OVO8P can be placed freestanding too.